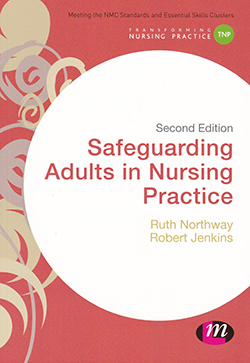 It is refreshing to find a book that relates nursing practice and adult safeguarding in the manner that this one does. It is mainly written for nursing students and incorporates the NMC Standards for pre-registration nursing education and essential skills clusters which is threaded throughout the book. The value it could also have for qualified nurses should not be underestimated. It contains references to historical cases such as Winterbourne and Mid-Staffs but there are also case studies throughout which serve as a reminder to nurses that abuse can and does occur. It urges nurses to reflect on the case studies and consider their own actions. Besides the six key principles of safeguarding within the Care Act 2014, it was good to see the book contain references to safeguarding legislation within the other countries that make up the UK. Overall, this is an excellent resource, and any nurse, whether student or registered who picks up and reads this engaging text will have at their fingertips a strong foundation to further build their knowledge in this area of nursing practice.